Homemade Facial Masks for Blackheads. A blackhead removal facial can be just as efficient at home when you know what recipe to use. Forget about going to the salon every time you notice dark coloring in your pores and use the best homemade facial masks for blackheads. While pads and other products can help with blackheads, homemade facial masks for blackheads can be more pleasant to use and work in two ways, both removing and preventing them. Check out some of the best natural options for the right facial to remove blackheads. For one of the simplest blackhead removal facial, all you need is honey, the stickier, the better. 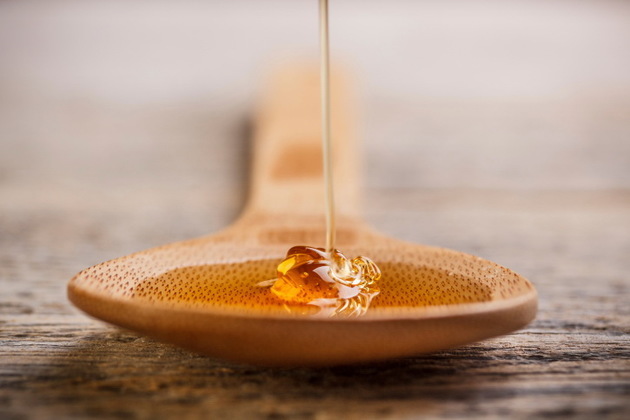 Cleanse your face and let it dry completely before applying the honey. If your honey is too drippy at room temperature, pop it in the refrigerator for a couple of hours. Take a bit of honey on your fingers and start patting your face in rapid movement. The honey will stick to your pores and clean them. Wash your face thoroughly after 3 minutes. Another simple facial for blackheads consists of just egg whites. Use a paintbrush to spread the raw egg white on your face in a thin layer right after you separate it from the yolk. Leave it for a few minutes to dry, then apply a second layer. After the homemade facial mask for blackheads is completely dry (15-20 minutes), gently wash off the egg whites with a wash cloth. Using green or red clay, you can get salon grade homemade facial masks for blackheads. Simply add a few drops of your favorite essential oil to a mixture that's half cosmetic clay and half apple cider vinegar. Once you've gotten rid of all the lumps in the paste, apply it on your entire face and let it dry for up to 20 minutes. Wipe it off gently with a warm, wet washcloth. For oily skin, your top choice when it comes to the right facial to remove blackheads is a mixture of oatmeal (3 tablespoons) and yogurt (2 tablespoons). After the oatmeal is finely ground, add the yogurt, along with 1 tablespoon of olive oil and one of lemon juice. After you've cleaned your face thoroughly with warm water, apply the blackhead removal facial and let it sit for around 20 minutes, before washing it off. If you're in a hurry and all of these excellent homemade facial masks for blackheads would take too long to prepare, simply soak a few cotton pads in freshly squeezed lemon juice and let them sit on the areas affected by blackheads while you relax for 10-15 minutes.